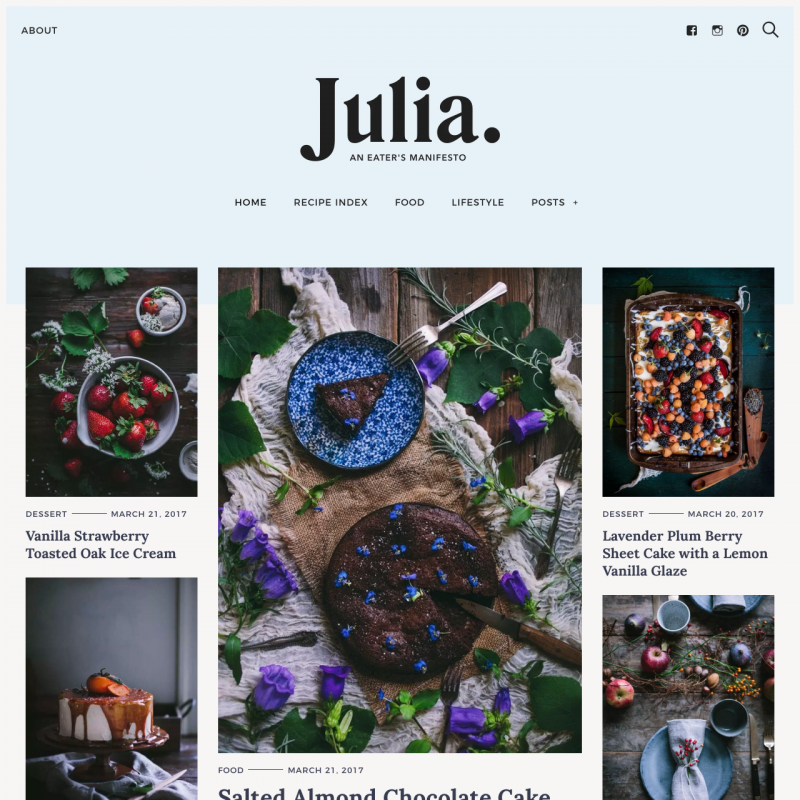 Julia is a premium WordPress theme. You may translate it to your language with Poedit translations editor. 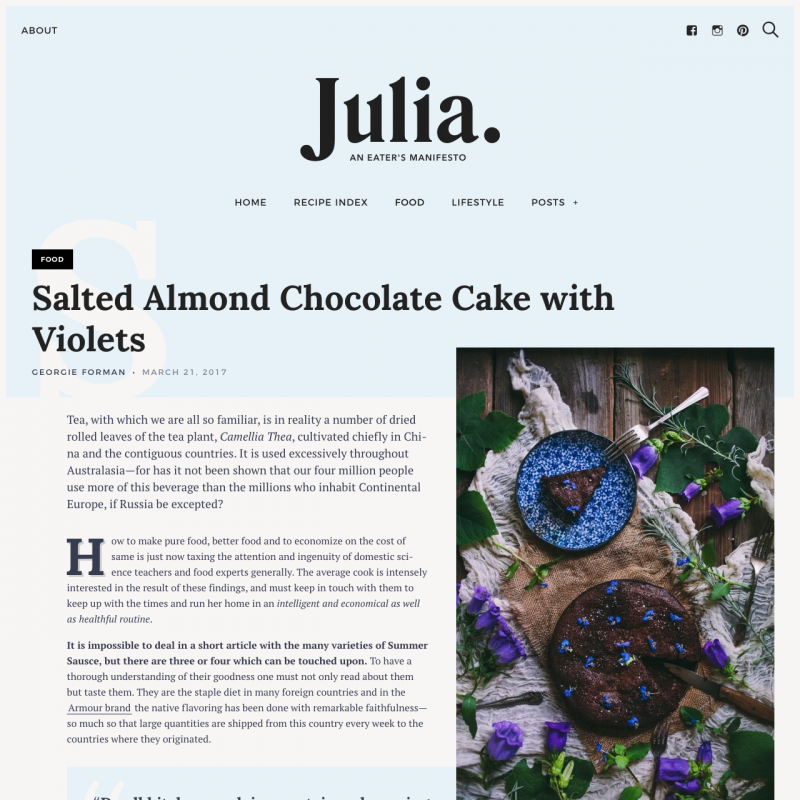 Julia is a stylish theme for culinary websites and women’s magazines. 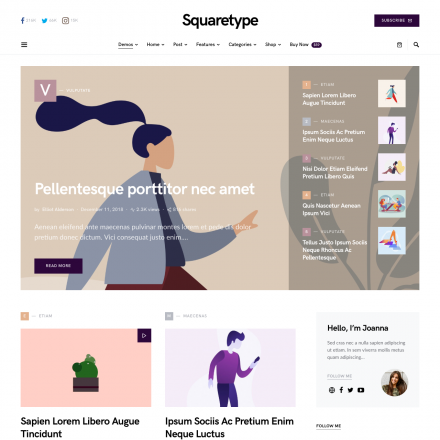 You can upload your logo, change colors and fonts, choose different post layouts. 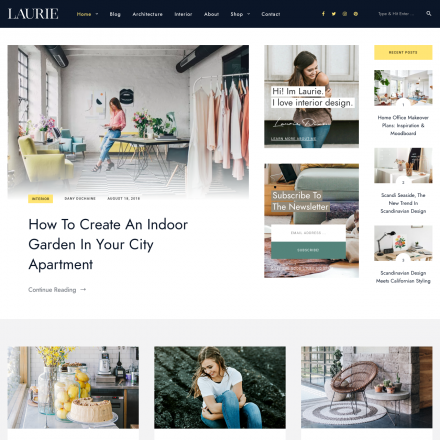 Use carousel widget, slider widget, post grid, post list and other custom widgets to build your own homepage layout. 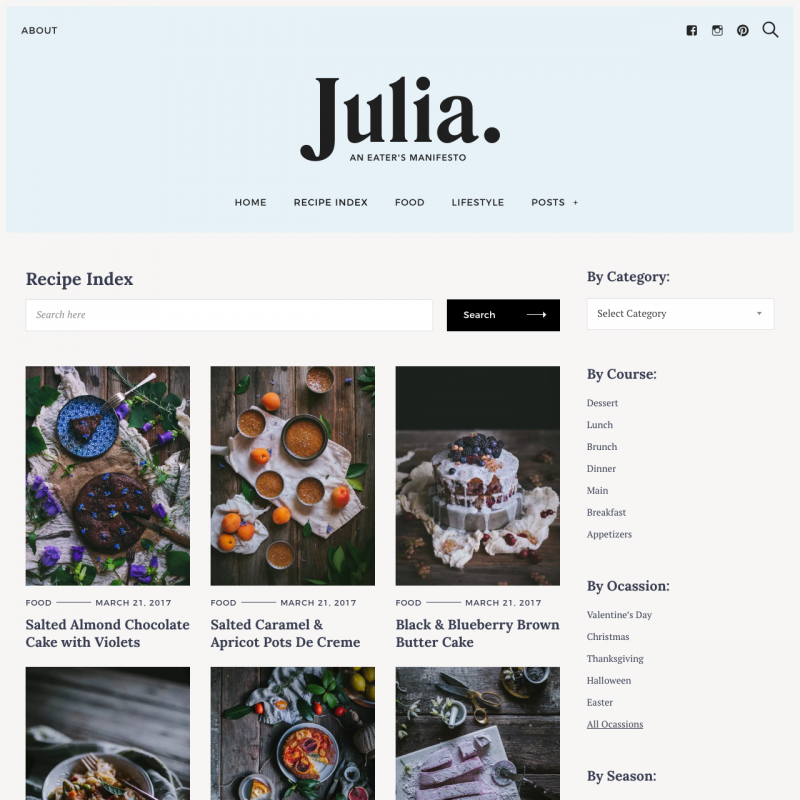 The premium version of the theme offers recipes index, you can filter recipes by course, category, season, etc. 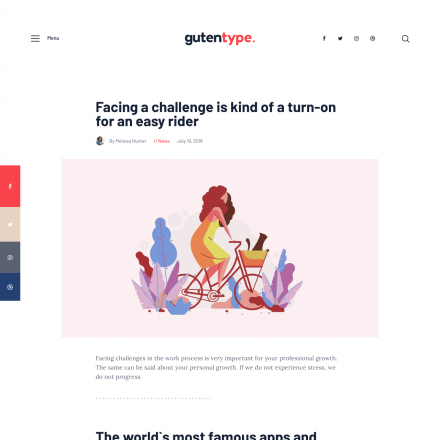 The lite version of the theme is also available, but it’s very basic.